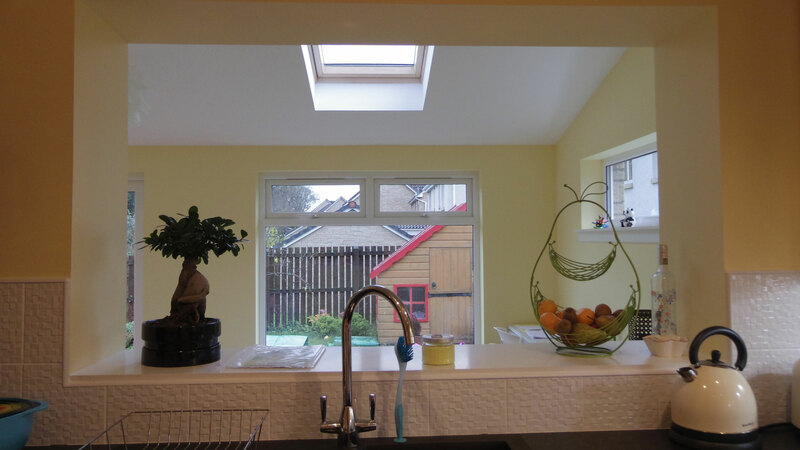 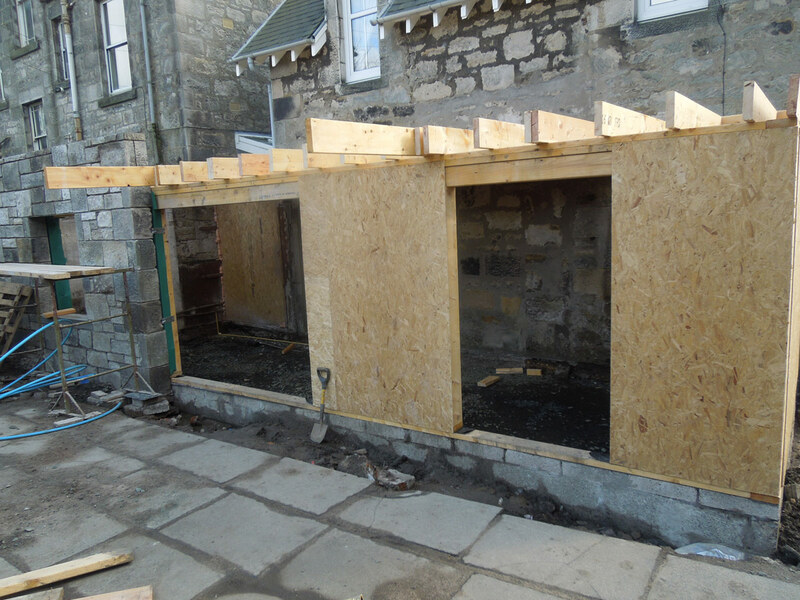 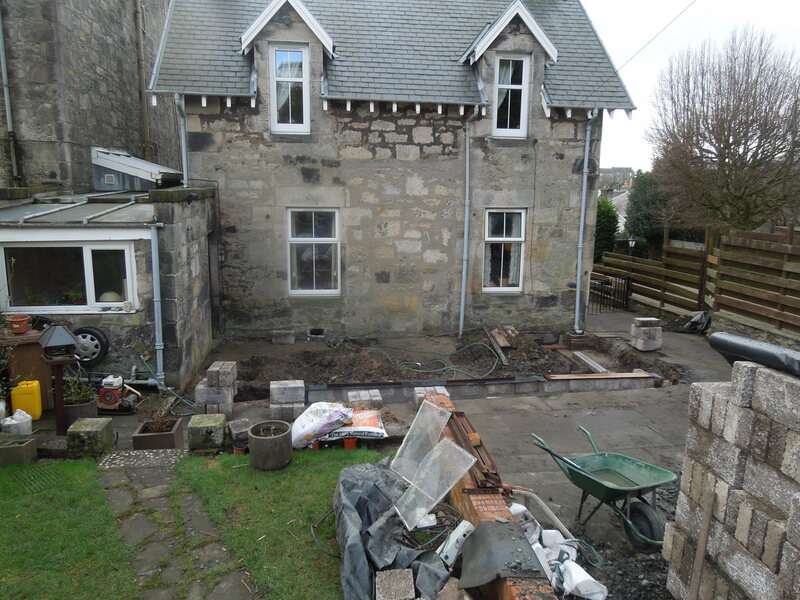 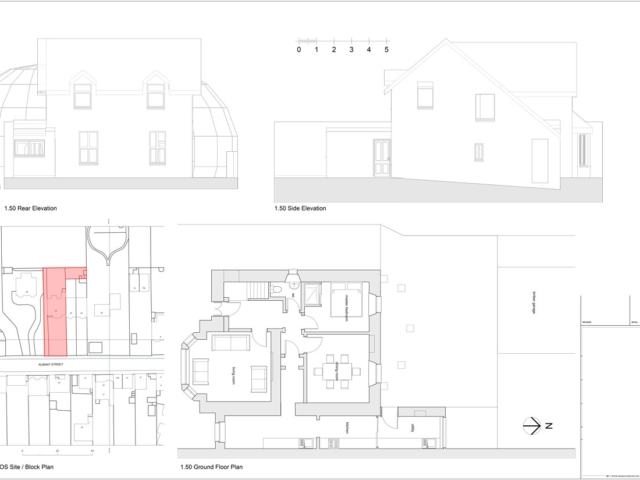 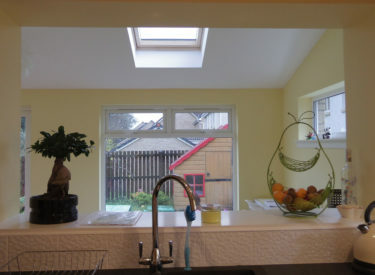 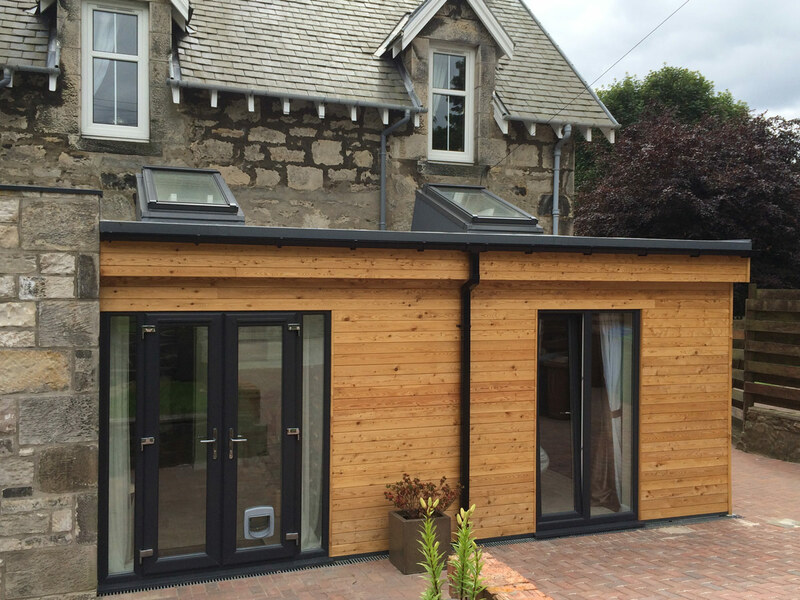 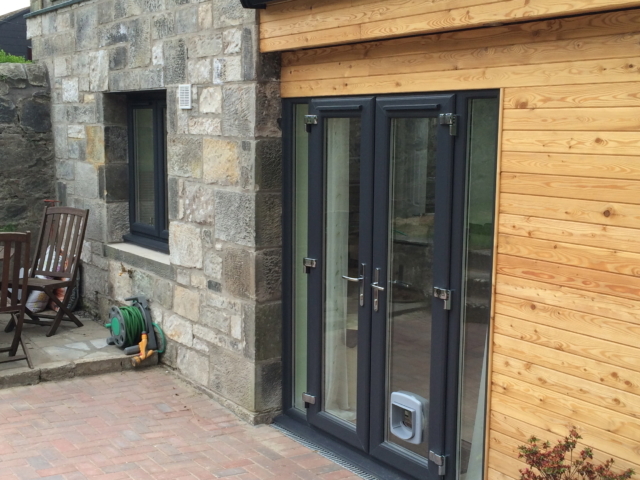 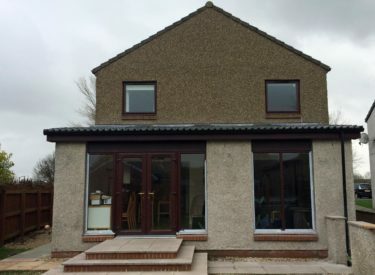 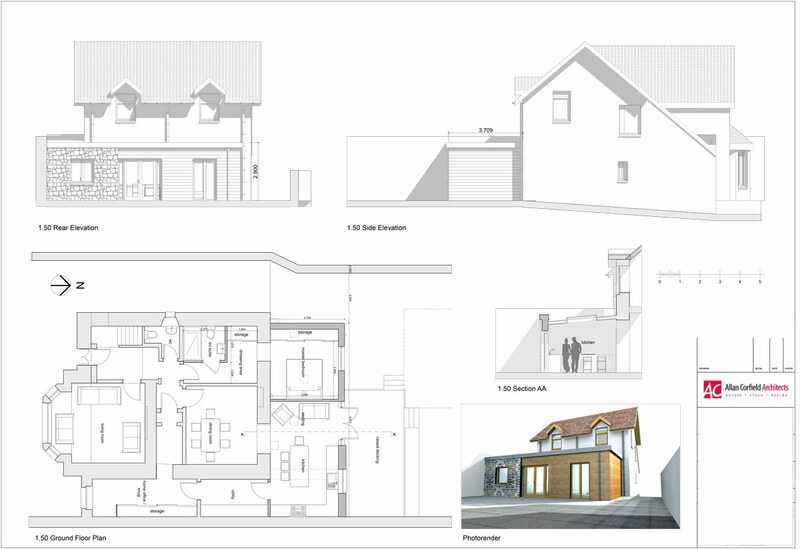 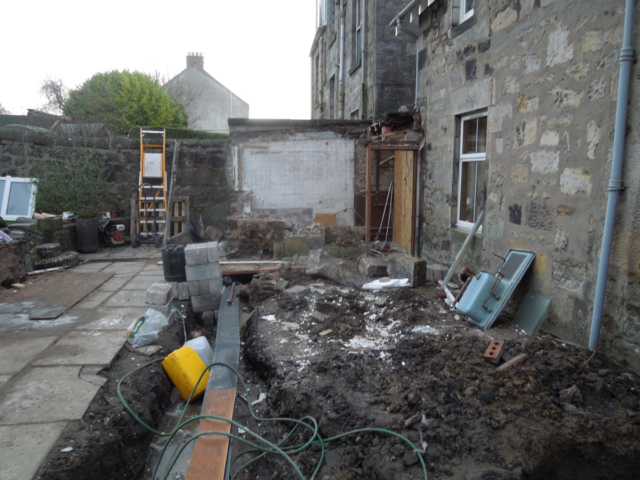 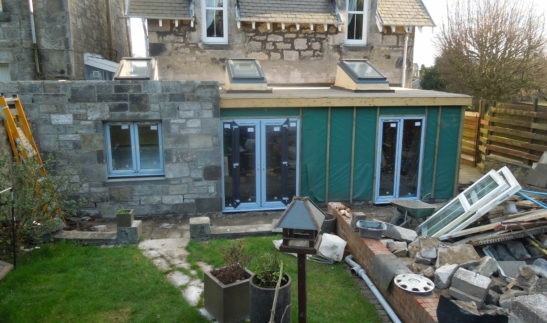 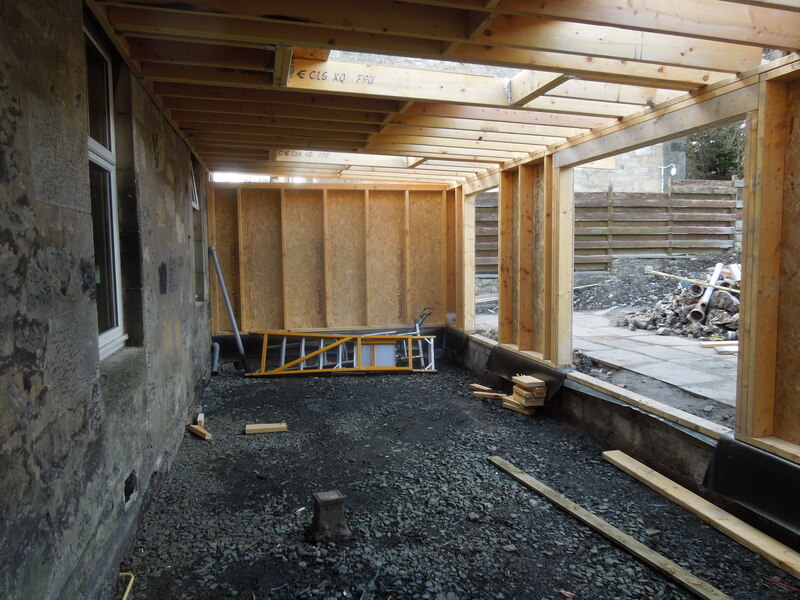 In 2013 ACA were appointed to design a modern extension as part of a traditional executive home in Dunfermline. 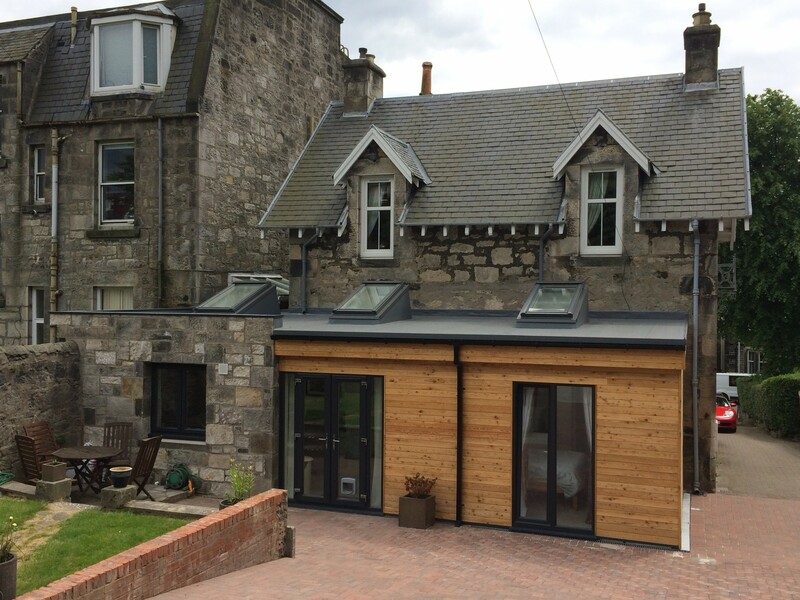 The contemporary extension became part of a larger renovation project for a recently purchased family home. 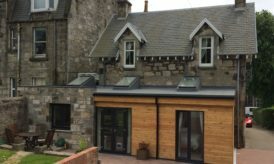 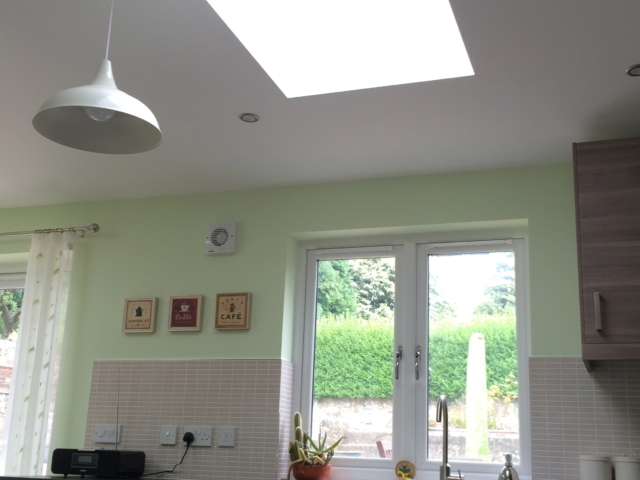 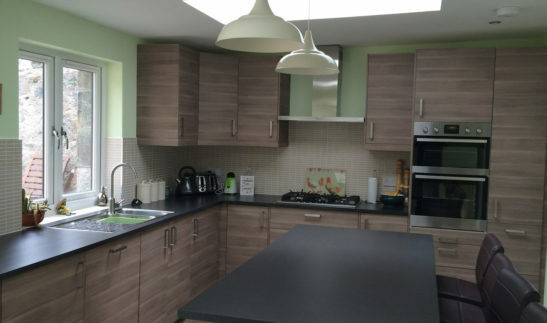 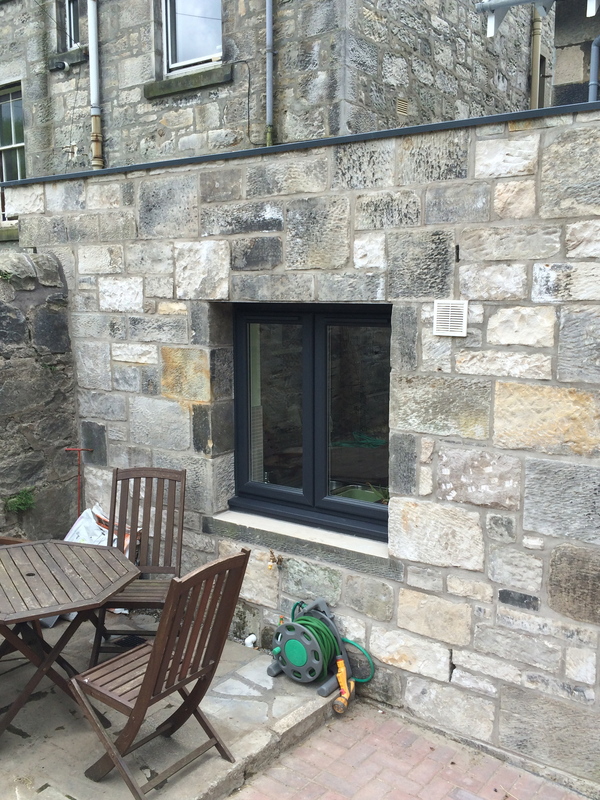 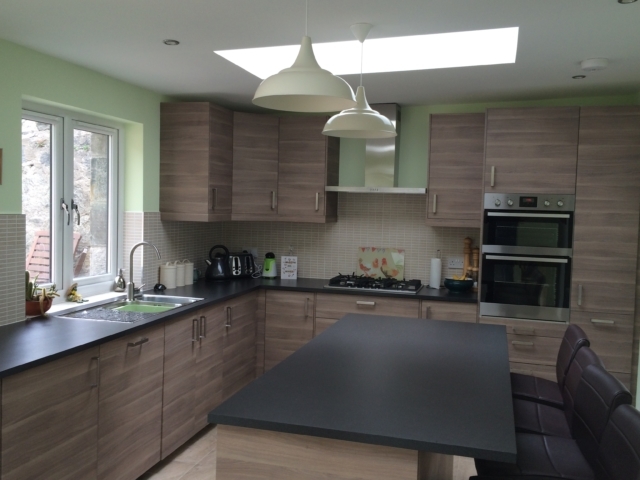 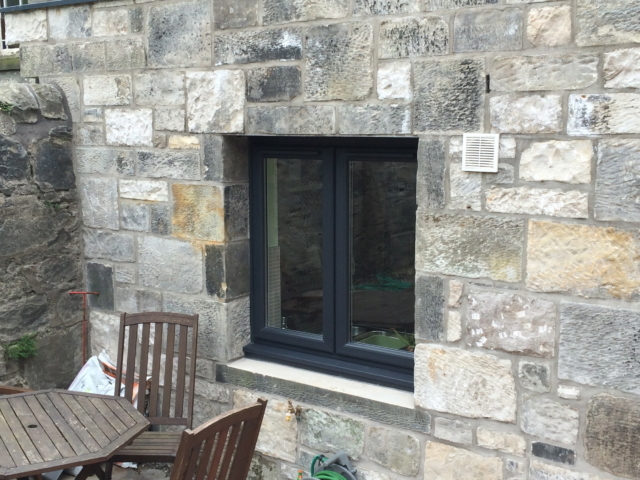 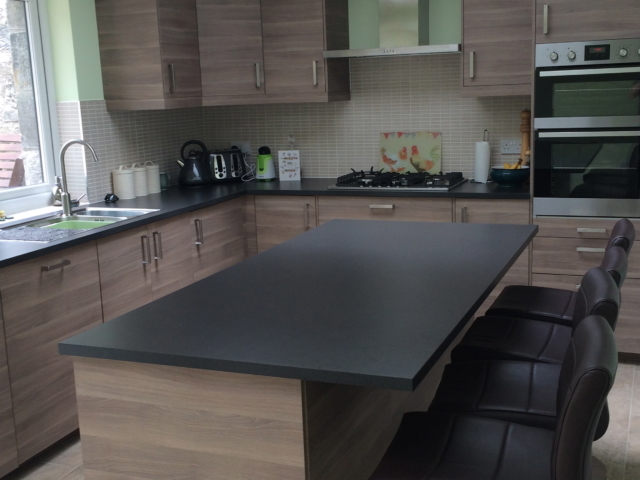 This rear extension replaced a small and slightly tired, flat-roofed kitchen extension, with some of the traditional stonework retained for reuse on the new extension. 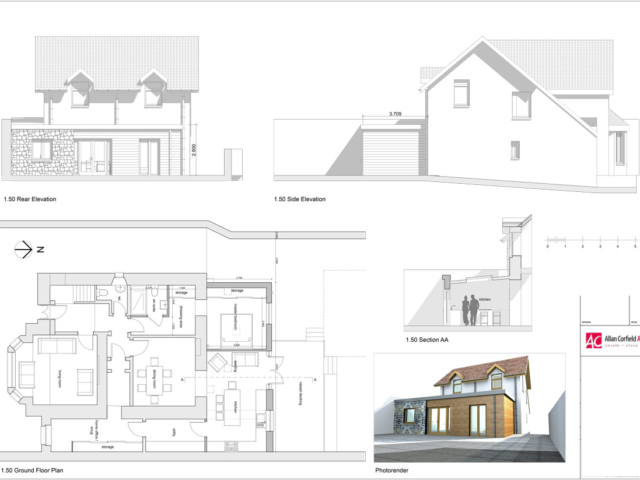 The modern extension runs the length of the rear façade and provides a new open plan kitchen with a seating area, and a new, extended master bedroom suite. 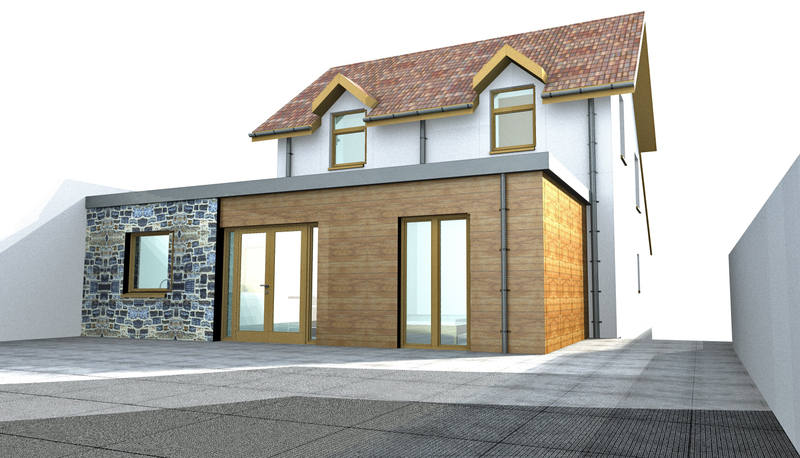 The contemporary design of the new extension – with its flat roof, timber and stone cladding – works well as a contrast to the existing building. 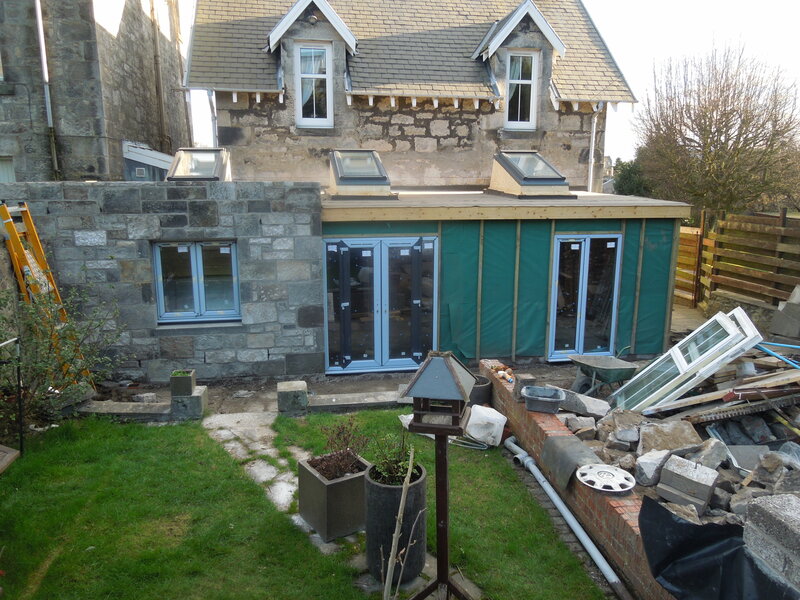 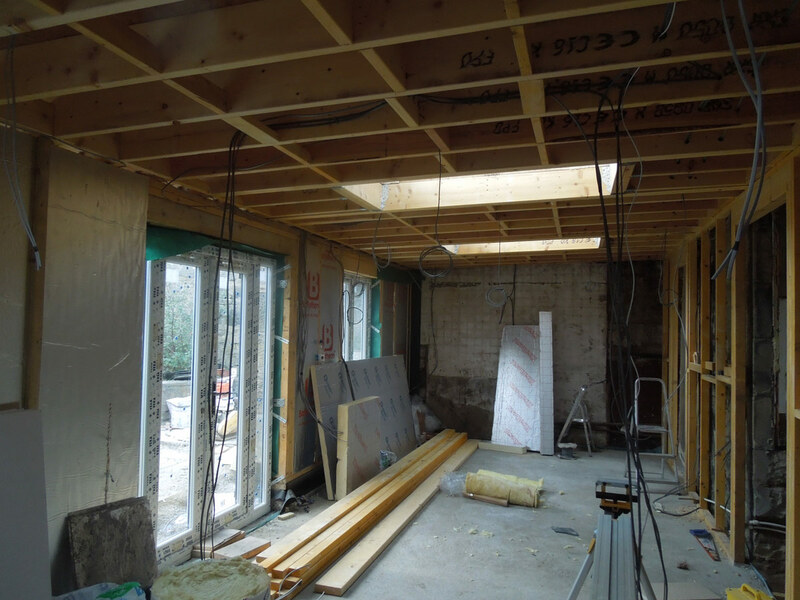 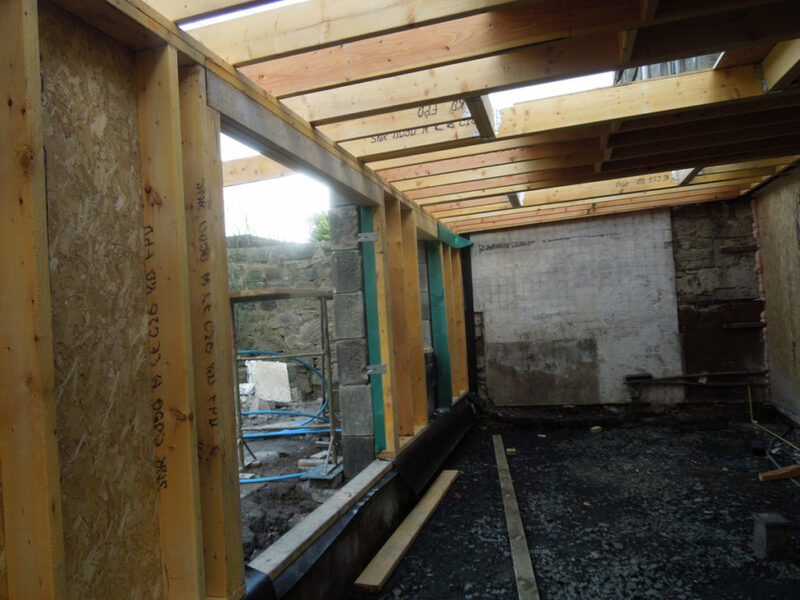 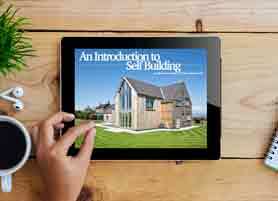 The modern extension was constructed from a site-made timber frame and utilised high-performance insulation. 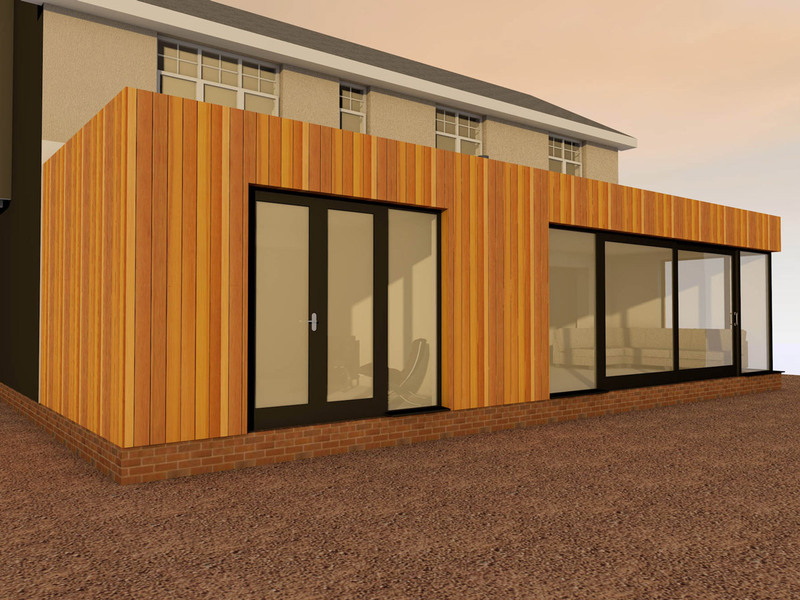 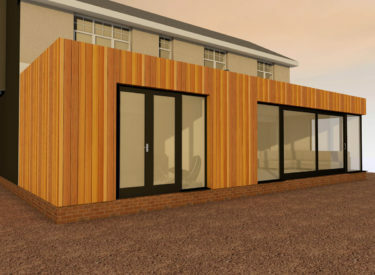 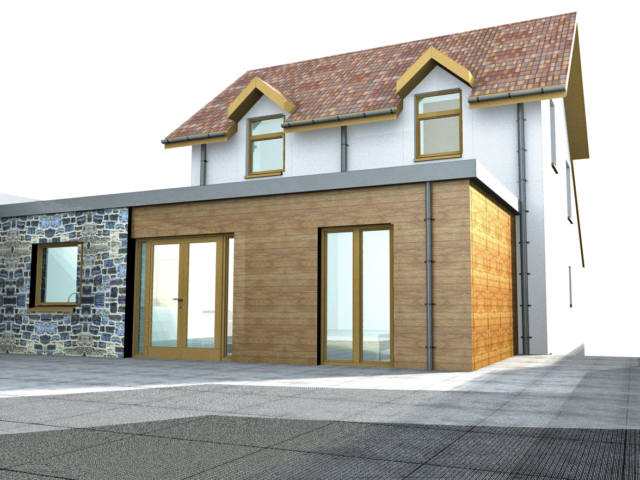 ACA used 3D modelling software to show the client what their home would look like with the modern extension completed. 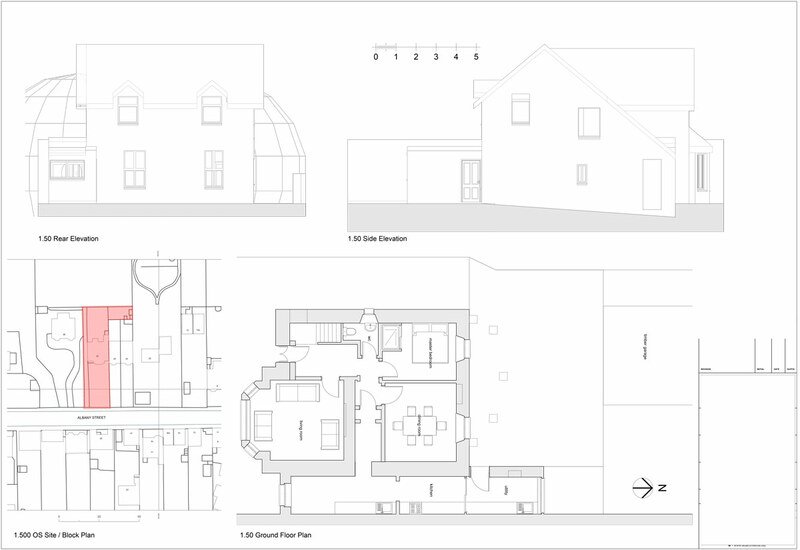 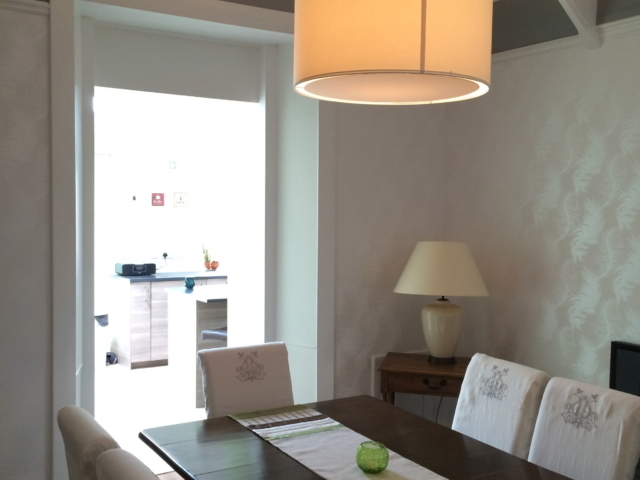 This allows a visual tour of the design and helps give an impression of space and dimension. 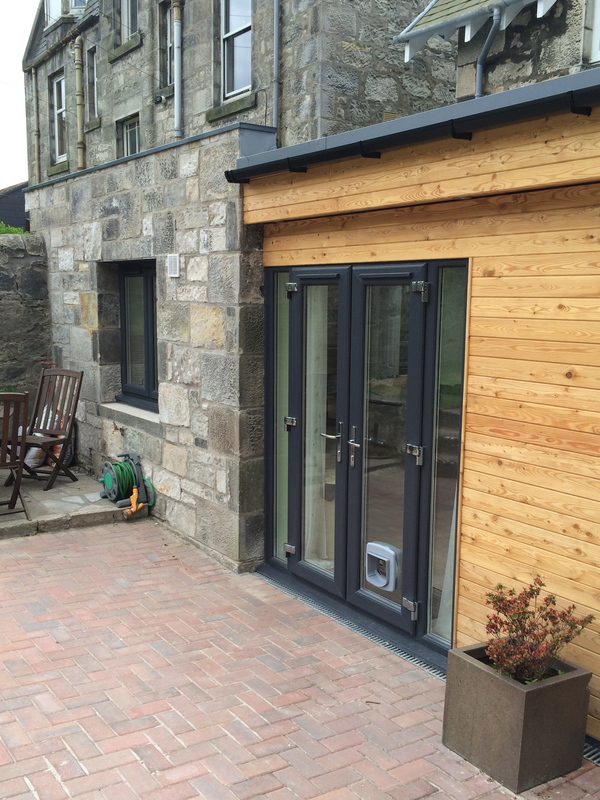 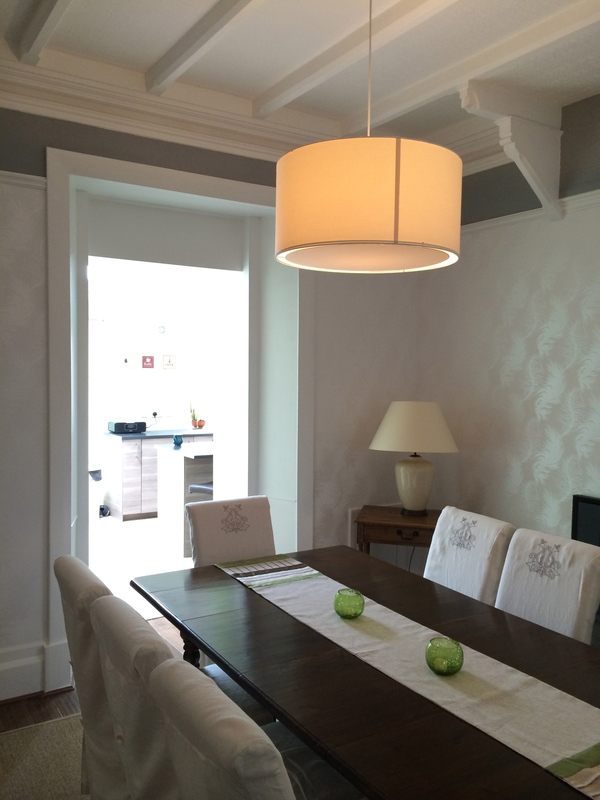 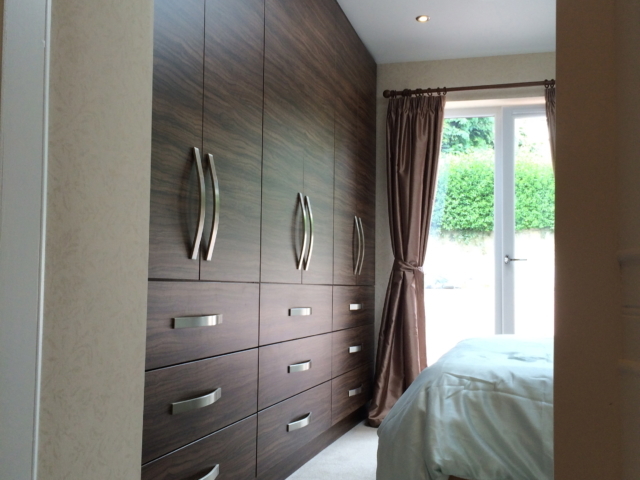 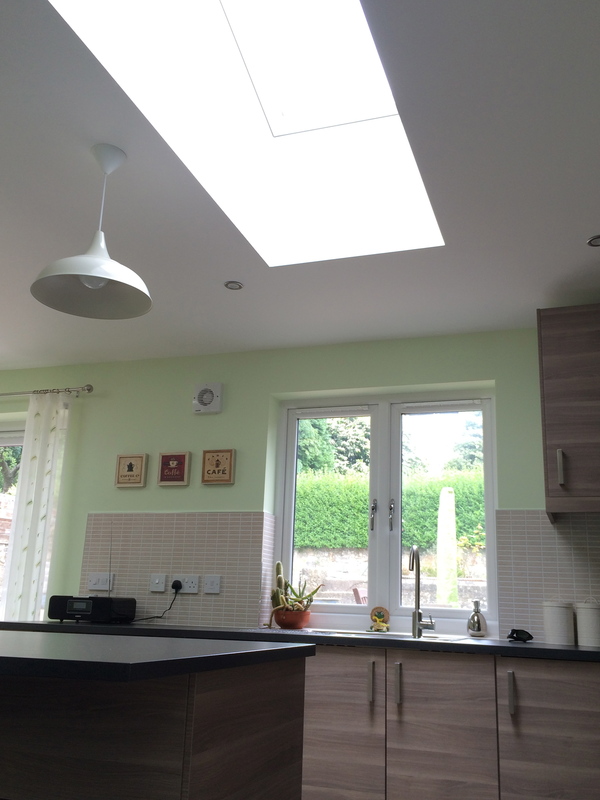 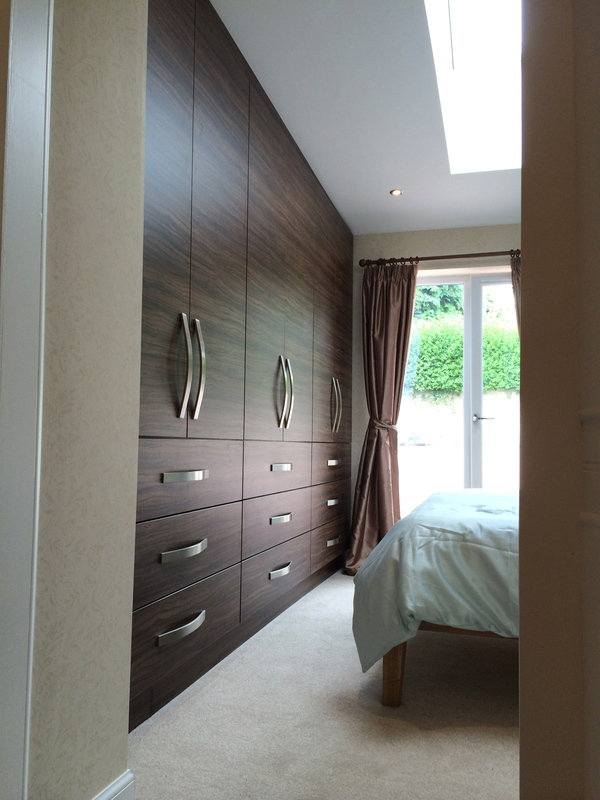 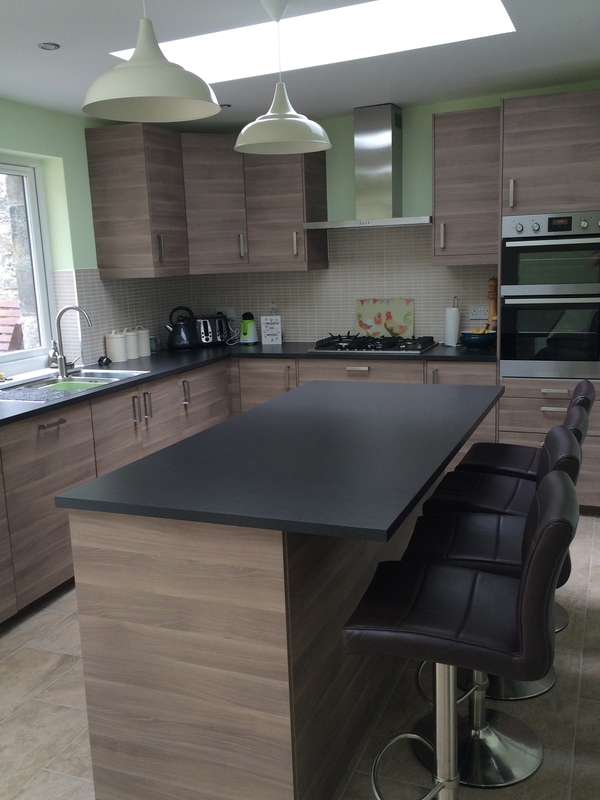 The building was completed in 2014 and the client was delighted with the new extension.